Lydia is built and controlled in France using the highest banking and computing security standards. Asymmetric RSA keys, 256 bit data encryption, SSL communications. Painstaking is an understatement when it comes to our attention to detail. Nothing is most important to us than your security. You can use Lydia in total confidence, knowing that you have nothing to worry about. 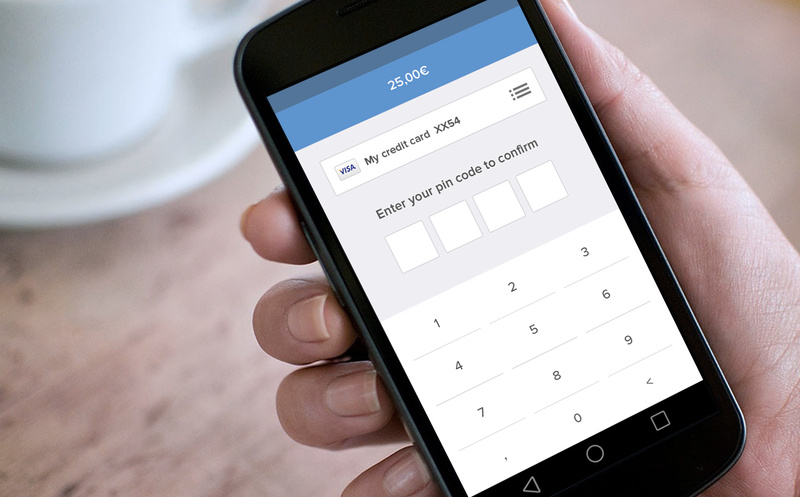 Your card details aren't stored in the Lydia app. Nor on your phone, nor on Lydia's servers. They are encrypted and stored remotely by Payline, the French leader in online card payments. You have to enter your personal security code to be able to carry out a payment or any data-sensitive action. Nobody else has access. After several failed attempts, your account will be blocked from use until Lydia's support team verifies the account owner's identity. If necessary, you can ask for your account to be temporarily blocked simply by calling our support team. Nobody can use it until you choose to reactive it. Each payment verified by a unique token which cannot be falsified and which has no intrinsic value. The token is only valid for a limited amount of time, and cannot be duplicated. It does not contain your bank details, and only Lydia's system can decipher it. We do not ever share your personal and banking details. This data is systematically encrypted if necessary so that nobody can access it. Access to information required by European banking regulations is controlled and restricted to a limited group of parters who are trained in dealing with privacy issues. Lydia's technical team may occasionally need to work on complex cases. In such cases, they will only have access to anonymised data. The money you receive with Lydia belongs to you immediately. It is stored in your Lydia account: this is a digital representation of real money stored in a BNP-Paribas escrow account. This account is held and protected by the Société Financière du Porte Monnaie Électronique Interbancaire (SFPMEI). Lydia cannot access or reinvest this money. It's yours, and yours only. Just like your card, your smartphone is just an instrument for making a payment: there is no money actually stored on your phone. If you lose your phone, you won’t lose any money: your Lydia account remains intact, and and you will find it untouched when you log in to Lydia on your new smartphone. Lydia's operations comply with European banking regulations. Lydia is governed by the Autorité de contrôle prudentiel et de résolution in France, and by the relevant financial regulatory body in each country in which Lydia operates - e.g. the FCA in the UK. The SFPMEI controls the cash flow Lydia processes every day.